The more I work with Brigitte and her most excellent team of volunteers, the more I am in awe at what they do and how well they do it. 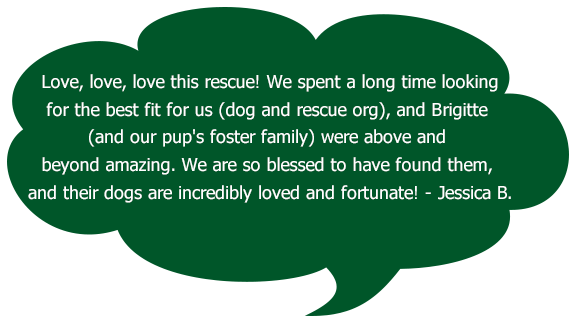 Every single dog and every single adopter are a high priority for this group--they work so carefully to make excellent matches and then are so focused on helping each adopter and new dog succeed. 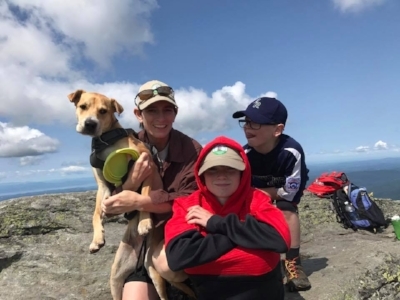 - Deb H.
We adopted our dog Charlie in February from VT Dog Rescue. Brigitte was amazing in helping us and taking the time to get to know us and what we were looking for in a dog. From start to finish it was a great experience. - Lori E.
Brigitte is so careful in placing the dogs, it's not a "quick shop", she takes a personal interest in seeing that the dog and the people are well matched. It was amazing to go through the process, unlike any other rescue group. - Susan B. At first I didn't know what to think about the level of "vetting" involved, but then I realized all of the questioning was just to make sure these animals would be going to homes that would truly love and care for them for the rest of their lives. Brigitte took the time to learn about us and helped us meet our special girl. I am thankful to VT Dog Rescue every day for bringing us together!! - Courtney H.
We've adopted our two beloveds, Millie and Maggie from VT Dog Rescue. The process was super easy and Brigitte made sure we had every thing we needed. Both dogs were in good shape, fully examined and had thorough records .We recommend VT Dog Rescue without reservation! 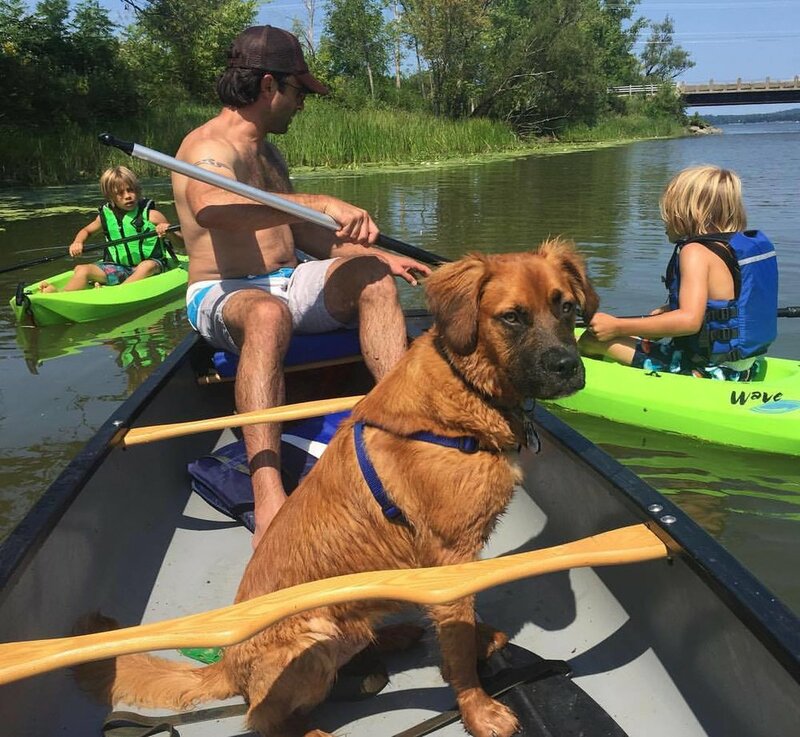 - Karen T.
We adopted our dog Dobby from VT Dog Rescue in September of 2015. We were so happy with the quick correspondence and knowledge of the dog we were adopting. They do great work. - Heather R.
We adopted Maggie on Christmas Eve!! She was the best addition to our family! Brigitte was super helpful the whole way and Maggie's foster mom, Holly, was great!! I am so grateful for Maggie and everyone who got her to us!! I can't imagine our lives without her!! - Angela C.
VT Dog Rescue is the best. When we lost 2 dogs within 6 weeks Brigitte was amazing helping us through the transition. She knew what we wanted and made it happen. We live in Florida and have a vacation house in Vermont. Brigitte found the perfect dog for us and we were not due in Vermont for a week later. She found an awesome foster home for Lainie and we picked her up the day we arrived in Vermont. Thank you for bringing Laine to our family. - Andy B.
VT Dog Rescue so perfectly matched us with our sweet pup, Gracie! We were somewhat new to dog ownership and needed someone (VT Dog Rescue and Brigitte) who would give us a little extra support with the dog ownership/ adoption process. 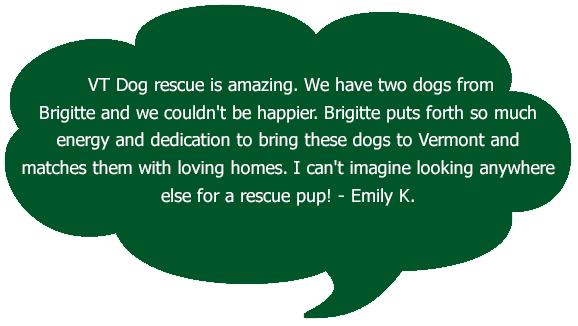 Brigitte is clearly passionate about rescuing pups and matching them well with their new owners! She brings her whole community together to make these rescues possible. Thank you! So Highly recommended! We are forever grateful! Many thanks to Brigitte and the volunteers at VT Dog Rescue who made our adoption possible. We were provided with a wealth of information and experienced a thoughtful process of being matched. - Tracy D.
One of the best decisions we made was to work with VT Dog Rescue. We adopted Zoe to our family almost 3 yrs ago.. simply an amazing girl she is. Even our Cat has come to love Zoe.- Stephen S.